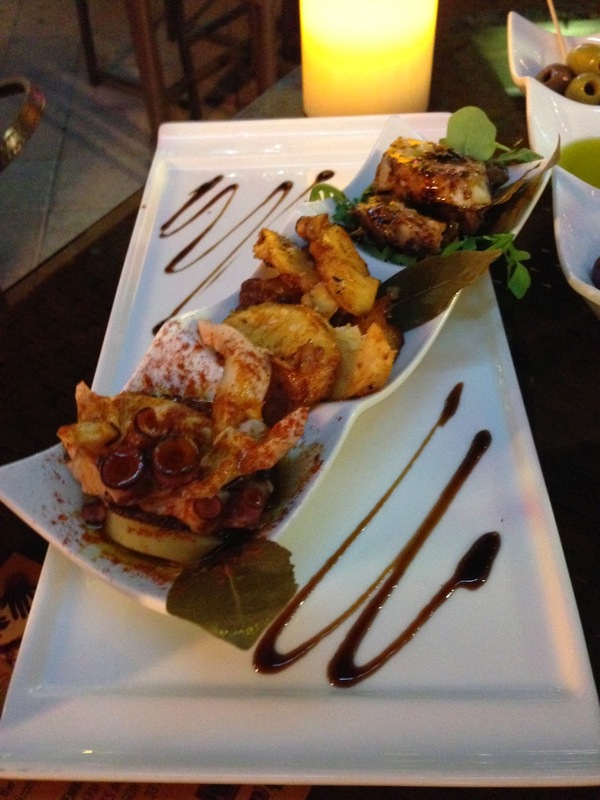 There’s nothing more comforting to me than sitting back, relaxing and enjoying a meal of authentic tapas and good Spanish wine. Even though I already have a favorite tapas place in Miami, I decided to try this new restaurant while strolling through Mary Brickell Village this weekend. You can’t miss this place! It’s smack-dab in the middle of the mall and has plenty of seating so you can dine al fresco or indoors. It definitely has a modern brand-spankin’ new feel to it. I love octopus and trying it with different flavor profiles so we ordered the Pulpo En Tres Texturas (octopus in three different flavors). This was my favorite dish of our meal here. I loved the variety of the dish, the taste of the 3 different flavors with the octopus and the presentation was spot on. 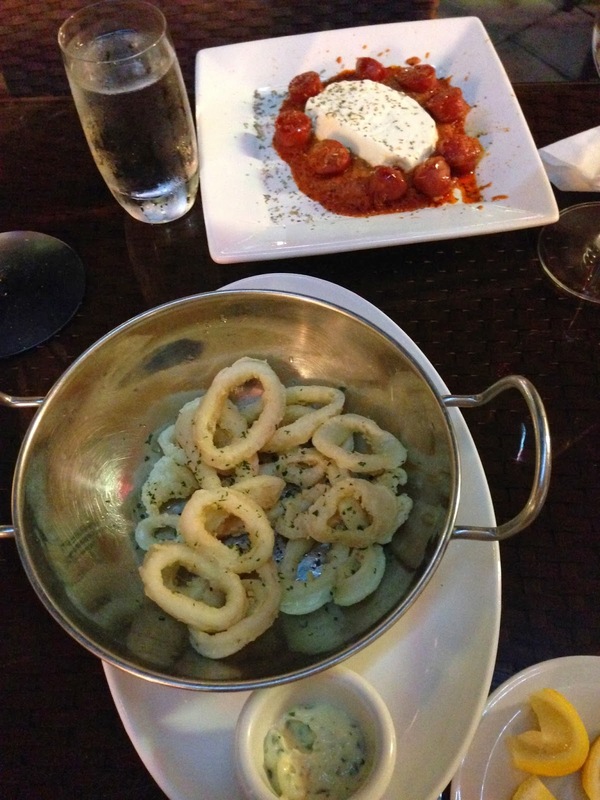 Calamares A La Andaluza (fried squid andalusian style)– I know what you’re thinking, “why would I order calamari? ?” Firstly, we were craving it and secondly, it’s a simple way of judging the skills of the kitchen since fried calamari is a standard offered in almost any restaurant. (good tip I learned from the pops ;)) However, you can safely skip the calamari here as the flavors were dull and it wasn’t very crispy. More cheese please! We ordered the Chorizitos A La Sidra Con Queso De Cabra Fundido, Salsa De Tomate Y Finas Hieras (red sausage in apple cider, with melted goat cheese, with tomato sauce and aromatic herbs.) Now, I would definitely recommend ordering at least one cheese dish, they have another goat cheese dish with honey that sounded amazing as well. 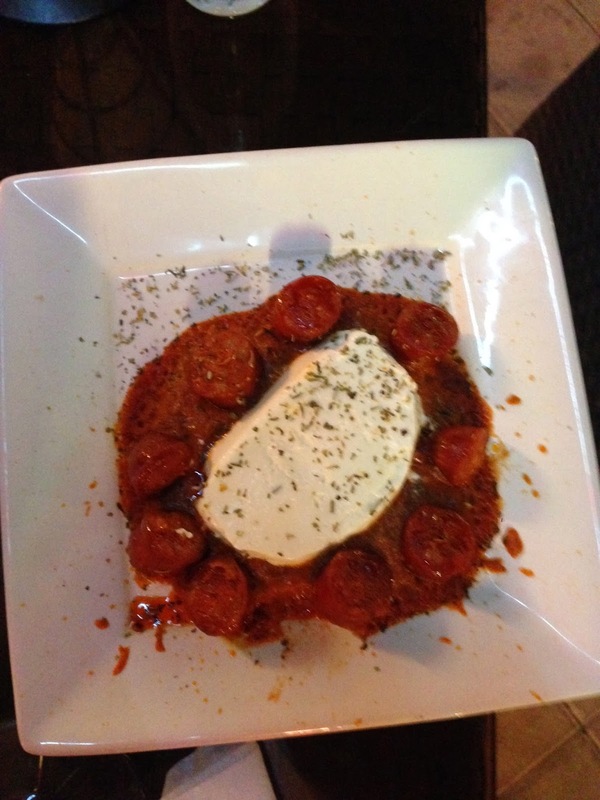 This dish did not disappoint and I also dipped my bread in the sauce afterwards- a true measure of yumminess! On paper, the Marinado De Vieiras En Vinagreta De Frutos Rojos Y Caviar (marinated of scallops in a red fruits vinaigrette and caviar) seemed like it would be a delicious dish, however, the age-old adage proves true here, “Looks can be deceiving.” It’s unfortunate, but this dish was pretty terrible, took one bite and left the rest. 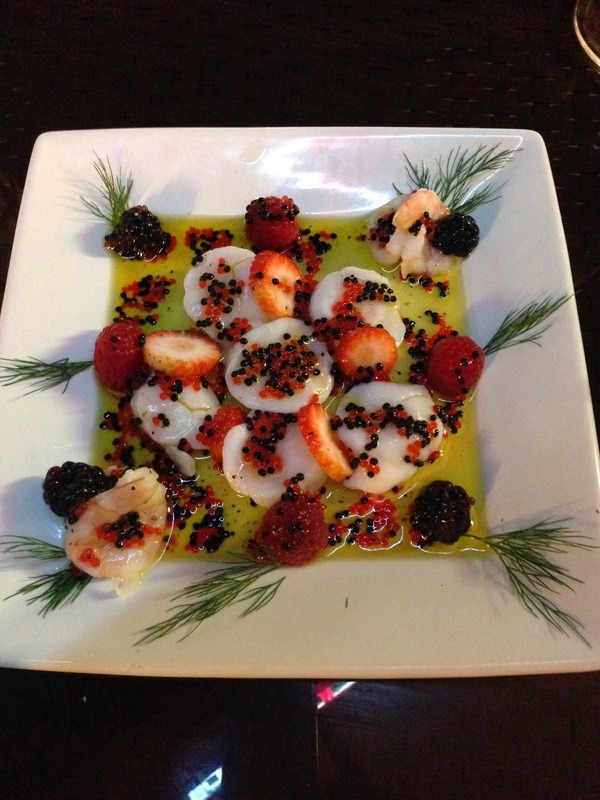 It had a strange mix of flavors, fruit and citrus with olive oil and scallops- it just didn’t work; at all! All in all, our experience was ok, ordered some hits and misses but enjoyed the delicious ones we ordered. Wouldn’t go back, but hey at least we tried it!